Google has been pushing a new concept called Accelerated Mobile Pages, in short AMP. This post explains what AMP is and aims to do, who should implement and why, how to get your WordPress site ready for AMP and how to make sure Yoast SEO integrates nicely with it. I have a personal opinion about AMP which is not very flattering, which I’ve written about here. Regardless of my opinion though, with Google pushing it this hard, news sites and blogs basically have no choice but to implement it. Google is giving prime real estate to AMP pages in mobile search results, and if you don’t have AMP on your site, you’re not getting any of that traffic. When you enable this plugin, all the post URLs on your site will have a /amp/ version. So you can go to any post, add /amp/ to the end of the URL and you’ll see the AMP version. The plugin adds a standard meta tag in the head of your normal pages that makes it possible for Google and others to recognize these pages exist. As of version 0.4, the AMP plugin adds a new template and a Theme Customizer, so you can directly change the styling to your liking. This is something we also do in our Yoast SEO AMP Glue plugin. If you experience issues with this, you might find this post on WordPress.org helpful. If you’re going for the bare minimum, install and activate this plugin and you’re done. Luckily, there’s a second plugin which builds on top of the AMP plugin, that handles all that, it’s called PageFrog. This plugin allows you to change the styling of the AMP pages, for instance by choosing the color of the top bar, changing the logo and a few more simple tricks like that. The plugin also handles Facebook Instant Articles, a topic we will be writing about more soon. The plugin adds a preview to the post editor which we found to be slightly too intrusive and most of all: unnecessary. I’m not going to preview each post anyway, so we decided to disable that. We had to code a bit for that but I hope they add an option to disable the preview soon. Update: read our post WordPress & AMP part II, as we’ve changed how we handle this and now only use the Automattic AMP plugin and our own Glue plugin, which has bare bones design support. How does this work with Yoast SEO? Why isn’t this in Yoast SEO itself? 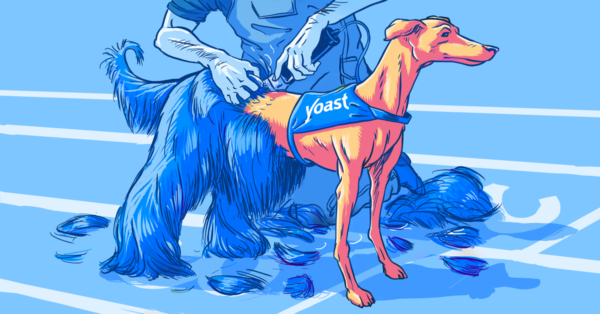 Of course, we’ve thought about just adding this to Yoast SEO for WordPress itself. The truth is: we will. Probably in a couple of months from now, this will be part of Yoast SEO. We didn’t do that now because we know that our Yoast SEO release cycles have gotten shorter and we have to plan for bigger features. To be able to quickly iterate on this particular set of features, we’ve made it into a small plugin which we can update by itself. We fully expect both our own best practices as well as Google’s rules for AMP to change over the next couple of months and will adapt as much as we can. Are you a publisher who published posts / news regularly? Yes: go to step 2, no: go to step 9. Are you on WordPress? Yes: go to step 3. No: replace the WordPress plugins in the following steps with plugins for your platform. If there are none, (re-)consider why you’re not on WordPress. Install & activate the AMP plugin and see what your AMP pages look like. Install & activate our Yoast SEO AMP glue plugin. Install & activate Pagefrog and change the styling to fit your brand. Go to the SEO → AMP settings menu, design tab, and change the styling to fit your brand. Also, upload a default image for posts that don’t have a featured image. Go to the Mobile Formats menu Pagefrog adds and click on Analytics to integrate with Google Analytics. Go to the SEO → AMP settings menu, analytics tab, and add AMP-specific tracking code if you want. If you use Monster Insights Pro, tracking will be added automatically. Thank you very much, will be passing along the info. It doesn’t work on pages yet, but support for that is coming soon. What about pages? AMP is geared towards blog posts etc, but will it pick up on WordPress pages. None of the plugins deal with pages, so if I wanted to AMP up pages, I would be guessing my only option is to create a second mobile/amp site and manually add canonical link to the header of each the regular page and the amp page? Rather than looking at AMP as replacing something, you should look at it as a potential additional source of mobile traffic in Google search. Just like with all things Google, they give love to their own ideas and products over someone else’s – thus the reason that Google+ continues to limp along… the simple thing to do is put in the Automattic plugin, add the Yoast plugin and move along with your day. Mobile users getting a stripped down version probably don’t care about the formatting, they won’t even know the difference. This is NOT about pushing a ton of rich media at someone’s mobile, it’s about a teaser to get them to visit more of your website. We did 2-3 Fetch and submit pages in webmaster tools with our sites once we had installed the AMP and Glue, and are seeing more and more being indexed every day with no more effort of our own. Joost — I am seeing an error quite frequently from Google where I am missing images and they are disqualifying the posts – I thought that Yoast had a default image that was used when there was not a featured image in a post, am I thinking of something else? We don’t have images for everything we run and have zero intention of changing that part of our process… even if certain pages get left out. Am I missing something in my setup in Yoast? Since the Rich Snippets requirement for images suggests a minimum width of 696 px, does this apply to AMP as well? I’ve just swapped out one of my images on a site to see if it has any impact, and I’m going to do a Fetch and submit with a post that has no image to see if it pushes back an error or not. Well, that can’t be the solution, since I also was missing a logo on one of the AMP sites and after fixing that and changing the image size, the logo appears to be corrected but the image is still a problem. Amp is very important as google has given pressure on this matter. As many of traffics use mobile and this is why google helps to make the way for those users a amp friendly website for every maker of the website . This article is very much effective and informative too for new or old users of amp related plugins . Any way thanks a bunch for sharing an awesome post here . Great post, smart to start with a separate plugin, AMP still in its early days this way you can remain flexible. I included this post in the Medium piece I just wrote about my experience adding the WordPress AMP plugin. I have installed it on my website but sadly it doesn’t support RTL for now , I tried to add dir=”rtl” but this haven’t resolved the problem yet, Any recommendations? Definitely, do you recommend Facebook Instant Articles & Google AMP Pages by PageFrog or not? Does it work just for blog posts or also for static pages? For example: does it work for http://www.thepanarama.com/apartamentos-en-panama (static page) or for http://ferelbloguero.com/que-es-instagram/ (blog post)? Well, I installed everything (AMP, Page Frog & Glue) but I don’t think I will be keeping it. First of all, even though I added information about google ads in the PageFrog Interface, none of them show on AMP. This is how I make money. So it’s a problem. Second of all, none of the key plug-ins I use on many of my pages work (Thumbnail Grid, Tablepress). So, important information is not showing up. Third of all, there is no way for anyone to leave comments anymore, or rate my recipes – which is an important part of my website. So now I’m more interested in what happens if I DON’T run this. Why does the frequency of update matter? Is that because google themselves will be caching the pages? Google used to have PageSpeed free caching service – which was highly customizable and yes, it did speed up my site quite a bit. It sounds that if they just brought that back and people could use that again there would be no need for fuddy-duddying around with the AMP thing. P.S. Thanks for the detailed step-by-step, anyway. I was able to install everything in a matter of minutes and try it out. It is hard not to see AMP and roll my eyes remembering the short lived Google Authorship fad. I get what Google is trying to do with AMP by encouraging people to speed up their pages, but I feel this project is going to be a huge dud. Companies aren’t going to rush out and redo their entire website on a potential fad when many large companies (example NBC Sports) don’t even have mobile responsive/friendly pages yet. What is sounds like Google needs to do is buy out GoDaddy and serve stripped down cached versions of mobile pages on redundant servers all around the world which is sounds like the Amp project is basically trying to do. Simply stripping out all styling and plugins to have a generic article seems to make every website look exactly the same and boring. I may be wrong, but I feel they are living in a fantasy world with Amp t like it is their moon shot project. so i suggest use this plugin “AMP Analytics “. It works! Wow! That’s great! I just learned about AMP today and started doing my research to know more and I found my self here and it contained all that I needed as a WordPress user. Forgive my ignorance but how does Google discover your AMP pages and the fact your site supports AMP? Does your Glue plugin add the pages to our XML sitemap that Yoast SEO creates? Should we somehow link to them from our site somewhere? What about my embedded YouTube videos? not working into the AMP site could anything else for the Video ? Review the AMP documentation to see proper usage. Could you please guide why this error and how can I fix it using plugin? Maybe it needs an update? Hi. I installed AMP, Glue, and PageFrog plugins and now getting Error messages (Prohibited attributes:rel) via Google Search Console. Is this a plugin issue? Great article, how will this effect pages and posts which have already been published? Oh, this is super interesting. I know very little about this: is the new plugin something for absolutely all self-hosted sites? Or are there any disadvantages to using it? Or reasons some sites shouldn’t use it? Is the Tavern using it? Pagefrog adds an image on top of the amp version pages. I don’t need them but can’t see any option to remove them. Unfortunately the AMP plugin isn’t doing a good job, the AMPs are there but if you look in Google Webmaster Tools all have errors and are not valid to be featured in search results…..So unless you know how to tweak the plugin on your own it does nothing useful…. Looks like I’ve spoken too soon. tick “off” for https protocol rewriting. This will validate the am pages./. Have already implemented it. But there is something wrong. Google Console reports “Error in schema.org NewsArticle”. Is this caused by WordPress SEO Premium (Yoast) or glue plugin? thank you yoast fok another great article. I feel the same as a lot of others who have commented above me. It just has this distinct feel of an idea that Google’s had that will slowly fade in to obscurity or be wrapped up in a different idea within 18 months. I see it as a possible good idea for mission critical websites (wild fire/flood alerts maybe?) but for your every day news site, wouldn’t people be better off picking up an RSS feed or similar. I of course will work with it, not just in case it becomes more concrete but also because it’s fun to play with new ideas and see what we can all do with them. Google just confirmed that AMP is not even a ranking signal, yet. The only thing it really gets you is a mobile friendly page and faster loading website (both of which you can achieve yourself without the extra hassle). I’d be inclined to take a wait-and-see approach here—at least for the time being. For a brand new website, it’s probably a no-brainer to setup, just like going https by default. But for existing websites? It’s a harder sell for me. It seems like AMP is only really benefiting major news publishers, everything else including long tail searches aren’t even showing up in the special carousel yet or even indicating being AMP optimized. I suppose that will change with time. But it does seem like we’re chasing tech instead of readers. Maybe they are very silly questions , sorry . Is it absolutely necessary to migrate to AMP ? What if I do not do it ? And what about AdSense , will continue to operate in AMP ? In the post, Joast mentioned as supported, but not much information. Unable to add would be a blow for Publishers . Thank you for these simple instructions! … an awesome, simple explanation of Google AMP… and the list of the three WP plugins required. I followed your instructions… installed the plugins, did the set-up, Created a Logo 300px tall by as wide as I wished … 2282×300 px… created an Adsense Responsive ad and referenced it inside the plugin Ad setup… and everything seems to work very well. Here’s a link to on of my AMP posts… very happy! … too funny how the “Featured Image” goes full-width on whatever screen size upon which you are viewing the page. Thank you for your wonderful WordPress plugins! I have done google search for “AMP SEO”, and Yoast site is coming on the news feed, however none of the first three result have AMP yet implemented… I like the AMP experince on the phone I am using other search query.. when will be implemented on your blog ? How long does it take take to show up as having AMP in webmaster tools? I am quite new to this stuff so want to get some idea because if it is instant, then I have done something wrong! how to add sharing widget ? I was using a different plugin till now. I will correct that but above all this technology is very new and we need to wait till we get one click solution to it. As said in this content integration of yoast is a concern for amp pages and that will be solved in coming versions while now we can do away with the temporary plugin. I have implemented amp but Google is highlighting errors in amp pages. So i still not sure when to go for it as i have many wordpress blogs getting solved manually takes a lot of development hours which i don’t want to spend and wait for a better and complete plugin that takes care of it properly and integrate’s yoast with no flaws. 1. Did your read my above comment? 2. Is this a form of manipulating the SERPs? “I copied that code into a new html (php that is marginally slower than pure html) file and tested it with Google’s page speed test on fabruary 21 2016. First of all, the user experience could not be improved since it scored 100 / 100 on that part, but on speed it scored 90 / 100, so there is room for improvement on that part of the test”. It can work for any type of page, the posts restriction is a restriction of the AMP plugin. Pagefrog actually removes that restriction now and makes it work for page and other post types too. This is an awesome improvement for user experience on mobile phones. However, this is something for search engines only. I hope there would be a better approach for normal users as well. Which is why I’m not a fan of AMP in the first place. But not doing it is also not an option. Do i need to re-crawling all of my site page and post or what ? What should i do to check if all function of AMP like share , ads etc are work ? You said: Are you a publisher who published posts / news regularly? Yes: go to step 2, no: go to step 7. How frequently is “regularly” as your suggestion ? My site usually has 2 new posts per day. So which step I should follow ? Go to step 2 – Or go to step 7. What about embedded YouTube videos? They are not working in the AMP version of the site. Am I doing something wrong or will YouTube just not work in AMP? “Jobs” created via WP Job Manager also not supported. Nope, with Pagefrog though, you can enable it for other post types. You’re right, thanks for the hint! After installing what should I do? Submit on webmaster tools or it will automatically detected? The glue functionality yes. We’re not in the business of competing with Automattic over functionality like AMP, we’d rather work with them to improve it then build competing functionality. 1) Why do you say that only publishers of posts or news articles should use AMP? Wouldn’t it also be useful for static websites that just have pages, not posts? 2) Is it really necessary to install the PageFrog plugin *as well as* Automattic’s AMP plugin? The description on the PageFrog plugin doesn’t mention the AMP plugin as being a prerequisite, and it sounds like it’s able to generate the AMP pages all by itself without needing anything else. Or am I missing something there? I’m a bit confused as well. The PageFrog plugin does not indicate that it needs the AMP plugin. The AMP plugin only works for posts right now…. I’ve installed the three plugins, activated them, re-saved permalinks, enabled amp versions of all pages and posts in Pagefrog plugin, but nothing is happening. When I go to any page and then add amp to the end of the URL, it does not load up any new special version of the page. Shouldn’t there be new AMPed versions of all pages? Mind you, I tend to agree with Chris, I’d be tempted to take bets as to when Google will do their usual and drop this after everyone has spend lots of time and money jumping to Google’s tune again. Either way, thanks for the article, always good to keep updated with these things! 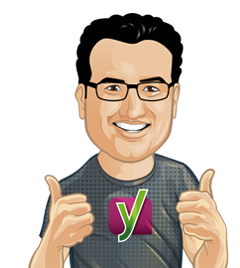 Thanks for your support yoast!! Are you suggesting to keep Default AMP and PageFrog both turned on? Why? (Step 3 & 4). Because they need each other. You can override the template completely or tweak it’s contents without adding another plugin. Thanks Rob – I need to get my thinking cap on.. as have an ‘errors’ as well as the NextGen issue. I use NextGen Gallery and this doesn’t display on AMP urls… with a blank box – and errors in Google WMT. anyone suggest a work around? Hmm not yet, at least. I think WP core galleries work. I don’t fully understand one thing. When I change the permalinks to add /amp it will change my desktop website as well? How do I force this to only change my mobile website? You don’t add amp to the permalinks, they stay as they were before. When you enable the plugin it adds an alternative link to the head of the page with a link to the amp version. Your normal page isn’t changed at all. Google and other consumers of AMP pickup the url of the amp version and show it directly in mobile results. Great article. Could you share the code you used to disable the preview of the PageFrog plugin? Could you please post the code that does this? Thanks for the info. This is what I also did. I thought you had done it differently. We have lot of clients who has frequently updated blog pages, guess I have to implement AMP on those pages. Awesome Tutorial man. This guide is really useful for me in these kind of mobile friendly web blogs. Thank You. I guess this is something we will have to learn to adapt to and make the best use of it that we can. Kudos to Yoast for staying on top of it for us. This DOES seem to be something that will benefit the mega-corps with a lot of dynamic posting and basic content, more than the vast majority of website operators. It also has the feel of something that Google will toy with for a year or two, and then abandon (after everyone has spent oodles of time and money adapting to it). Remember Authorship? Yeah, kind of like that. This is Google’s fight against Apple News and FB instant articles, all about market share and marketing. The AMP project has its own compact JS https://cdn.ampproject.org/v0.js that will of course be studied and improved by others since it is open). 3. Avoid CSS if it is posible, use inline CSS or minimalistic CSS stylesheets. What do you say about single page app technology (angular.js) to make mobile pages load faster and make user experience better with it? does it have issue like google indexing, crawling? looking forward to hearing from you. Thanks in advance! Chris I’m in the same camp. Still early to see how prominently AMP is actually going to affect the *average* blogger / content marketer. For a big publisher like CNN, NYT, it certainly makes sense to be in as many places and formats as possible. But what about the rest of us? I noticed this page in particular when I search for “yoast amp” is *ready* for AMP but google is not yet indicating it as such. I’m not sure if that’s a search appearance issue as mentioned by Abhishek Prakash or Google is just being picky on day 1. It’ll be interesting to see if they do eventually. I think Google is banking on the fact that the technical implementation is relatively straightforward so a lot of people will migrate to it just for sake of having a chance at a higher ranking. People fussed about schema markup while providing little to show for it. Can I ask what are the advantages of running Automattic and PageFrog simultaneously? Is there a potential for them to conflict in the code or in duplicate search results? 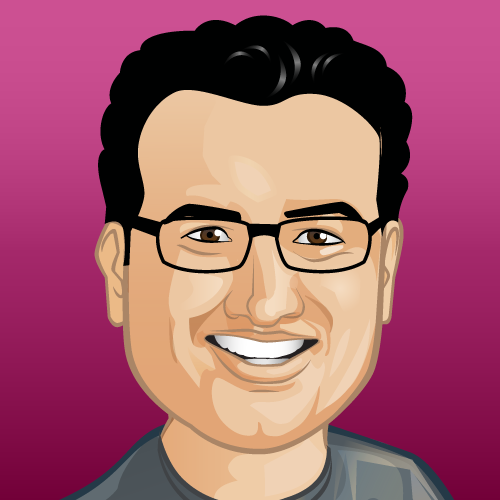 This is Mike here (I’m also Mike :) from PageFrog. We actually built PageFrog on top of the Automattic plugin. While the Automattic plugin provides the very basic functionality of optimizing your pages for AMP, PageFrog adds all the services around the management of AMP pages. Long story short, the plugins are built to work together, so there’s no potential for them to conflict and will never generate duplicate pages. 1) Since PageFrog recommends having an ad unit after every 250 words, my post now has 11 ads displayed as it is about 3500 words long. Does this violate the Google Adsense rule of having only 3 ad units on a page/post? 2) The newsletter I got from Google mentions something about creating a new Google Analytics property for AMP pages for a site, do you also suggest the same and if pageFrog does not do that, does it go against to what Google recommends? The recommendation for 250 words is more of a maximum frequency (as in any more than one ad per 250 words would be bad). Definitely feel free to show less ads if that works for you! A lot of custom methods and regulations are being created by Google for AMP as we speak. The traditional Adsense rule of 3 ad units per page largely applies to desktop pages where you can have skyscrapers on the side, banners on the top, etc. As you can imagine, it can be quite overwhelming to see 4 ads at the same time. With AMP, which is a mobile-specific format, users are really only exposed to one ad on screen at a time as they scroll through the content. You’ll see on existing AMP pages from major publishers that they often have way more than 3 ad units on an article, especially if they’re long posts. We offer the customization so that you can determine what works best for you! Our recommendation of one ad per 250 words is our recommendation for the maximum frequency. As for creating a new Google Analytics property for AMP, it’s really a matter of preference. Major publishers that care a lot about AMP performance (especially those deciding whether to dive into Instant Articles, Apple News, etc) will often create a new property for AMP just to manage the tracking a little easier. If you’re less serious about AMP-specific insights, you can still track all AMP activities under your existing GA property. AMP pages are usually your original URL with /amp at the end. You can filter pages by URL containing /amp to track all your AMP pages in GA.
PageFrog simply allows you to connect your GA account, so you are free to choose which property to connect PageFrog to. I have over 2000 products and when I enable the plugin. I dont see the default as enabled. Would I have to go through each product (post) and enable this one by one? You can Enable or Disable them all at once, or individually as well. Installing the plugin will not Enable any posts. To Enable all posts, head under Mobile Formats > Settings and you’ll find the options to Enable all posts for AMP. The page also has settings for the default state for all new posts. If you Enable AMP by default for new posts, then all future posts you create will automatically be AMP enabled. I still don’t understand one thing: when does a visitor get an AMP page rather than a mobile-optimized page? If someone follows a non /amp/ link to my content when on a phone (say, from a email notice to my subscribers that I have a new article), do they get my regular mobile-optimized page or AMP? What about a Pinterest link? Or a share on Facebook from a reader of a non-AMP page? Vs. someone who is clicking through from search results? Overall, I’m just trying to figure out WHEN someone will get the AMP page, and the AMP Project FAQ don’t answer this. He’ll be getting an AMP page straight in (not from, but really in) the search results from Google, when he clicks on an AMP link. It’s not live everywhere yet (including not for us) so it’s hard to show you an example right now. When you use the AMP plugin from Automattic, go to Dashboard, Settings->Permalink and save changes. It may sound ridiculous but the plugin doesn’t take any change into effect until the save change on Permalink is triggered. Also, you can see whether or not AMP has been indexed in Google by logging in to Webmaster tool and see it under Search Appearance->Accelerated Mobile Pages. It takes some time before Google starts taking not of change.